Ruby and George Chambers in Opera Alley. 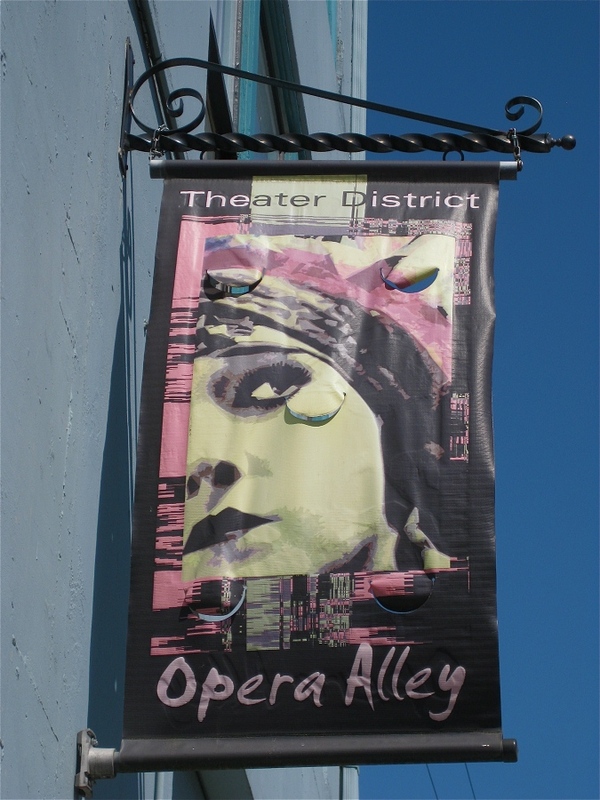 Opera Alley is a romantic niche of the Theater District tucked away at 7th Street and St. Helens Avenue. It is one of Tacoma’s most intimate, atmospheric corridors, preserving history in century-old buildings that once played host to bars, bordellos and the behemoth presses of the Tacoma News Tribune (in the 46,000 sq. ft. Ledger Building). The Passages Building, at 708 South Broadway, once housed the Savoy Theater, where Sarah Bernhardt performed in 1907. Today, these beautifully restored structures bustle with fresh life: specialty boutiques, salons, a café, a yoga center, professional and creative services, and small, independent enterprises. 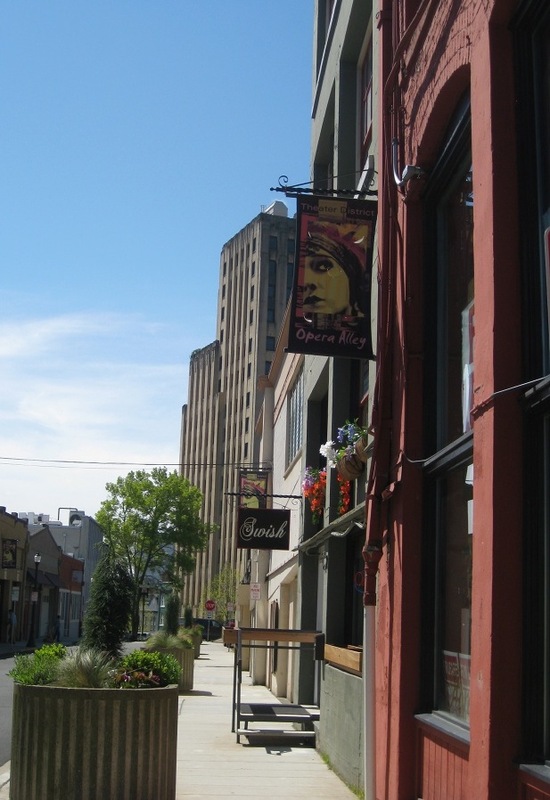 Thanks to a visionary effort spearheaded by property owners Ruby and George Chambers, this once neglected area is successfully reclaiming its genteel charm to the pleasure of visitors and downtown dwellers alike. The Chambers are Spaceworks’ newest partners, donators of prime Opera Alley real estate to be used for three-month Artscapes exhibitions. Ruby (who owned the beloved brick-and-mortar home emporium, the Ruby Collection), says, “It’s a great opportunity for me to be able to give back. It’s all about mentoring and helping [artists]. I think when I was so busy running my business, I didn’t have the time. I feel so fortunate I have the ability to do that now.” She closed shop in 2007; Ruby’s is now an online presence with a showroom to open soon in the Ledger Building. George and Ruby recently opened up 708 Opera Alley to the artist Acataphasia Grey, for her surrealist peephole installation, Tea for Short Expectations. Spaceworks “gives artists the opportunity to show their work in a way they want to, and not necessarily be dictated to by a gallery owner, ” she says, as a visitor ogles a linen-and-china tea party set for zombified stuffed animals and dessicated-looking taxidermy beasts. Unlike property owners who communicate with tenants through a management company, she adds, “I have the opportunity to connect with [the artist],” and their creative process. Tacoma's past and present converge in Opera Alley. The Chambers describe the Ledger Building, which they own, and the Passages Building, which they co-own, as having “heart and soul” – almost every finished space in these landmarks is leased at a time when downtown office space is at 40% vacancy, says Ruby. 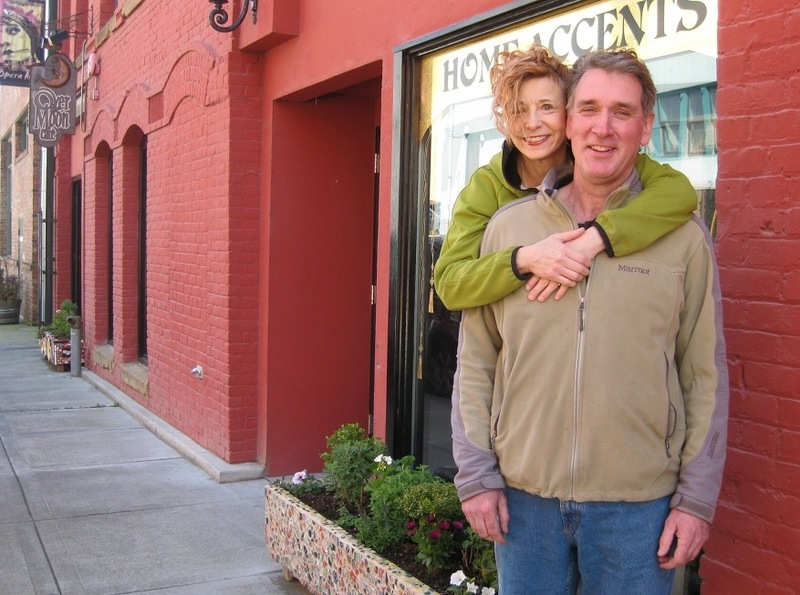 George, who is a professional boatbuilder and woodworker, does many of the improvements: “To bring back the integrity of the buildings is really rewarding,” beams Ruby, and their strategy is helping to keep rents affordable. Creative entrepreneurs are drawn to the architecture’s historic interest and value to the surrounding community. The couple continue to develop their Opera Alley spaces; ideas being floated include an underground speakeasy with a New Orleans-style garden courtyard. As for art, they are particularly open to green-friendly proposals that utilize non-traditional space, such as an outdoor mural, a vertical wall-covering mosaic of plants, or a rooftop installation that neighbors at nearby condos and the Municipal Building can enjoy.